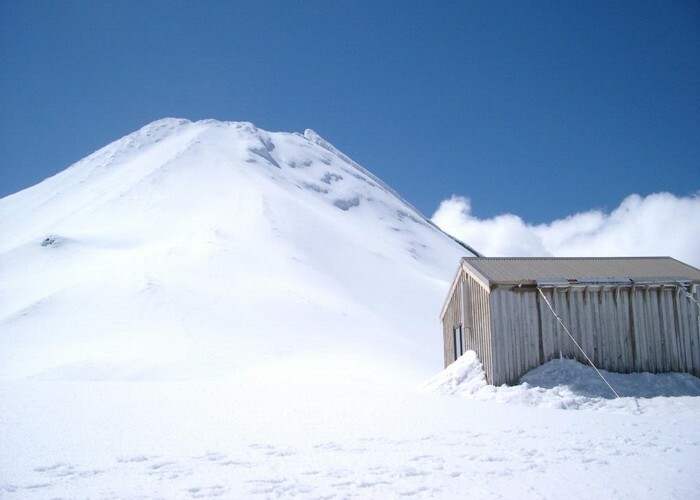 Th southern face of Mt Taranaki provides a striking background for Syme Hut. Taken in October 2009. Added 1 November 2011 by BriarBriar. No revisions. 54 views in the past year (5 per month).